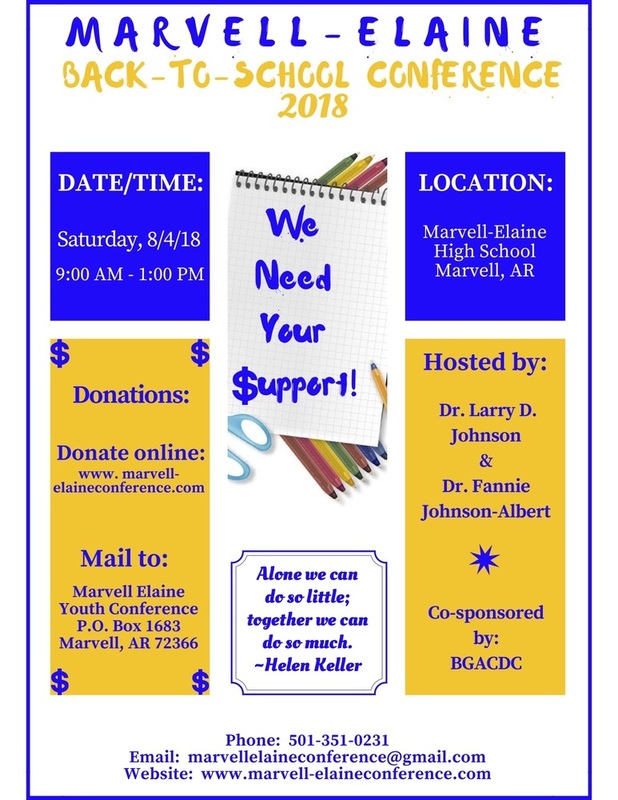 Marvell-Elaine 2018 Back to School Conference will be August 4, 2018 at Marvell-Elaine High School from 9 am to 1 pm for 7-12 graders. This event is hosted by: Dr Larry D. Johnson & Dr. Fannie Johnson-Albert and Co-sponsored by BGACDC. Thank you for your support and we look forward to seeing you there!!!! !